Plywood Bauble - Wooden Christmas craft shape - laser cut blanks. Options for wooden bauble blank. 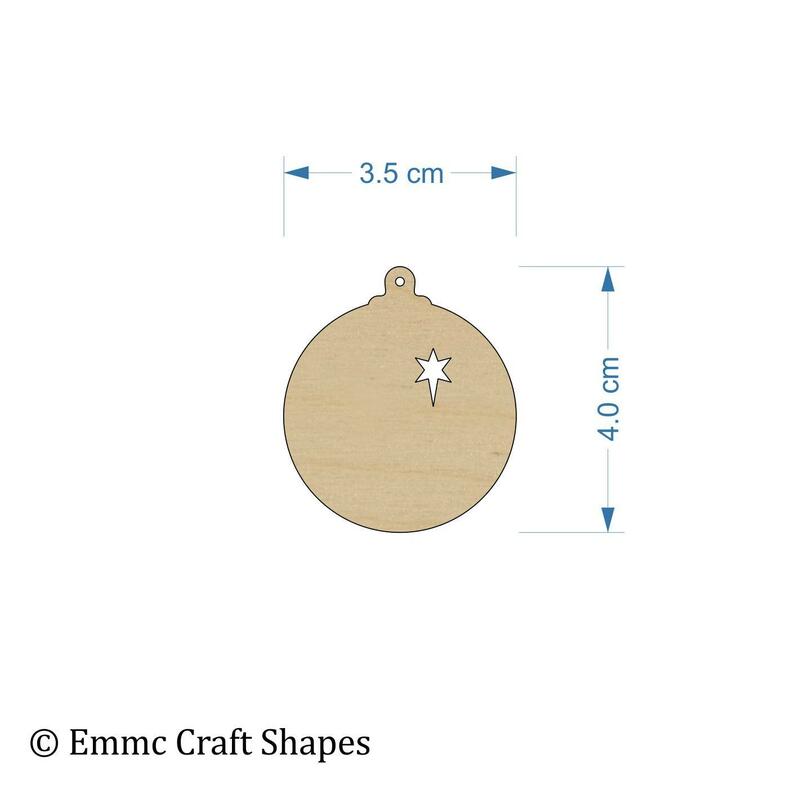 If you would like the little star cut out of your plywood baubles, please use the the drop down box to select this option. 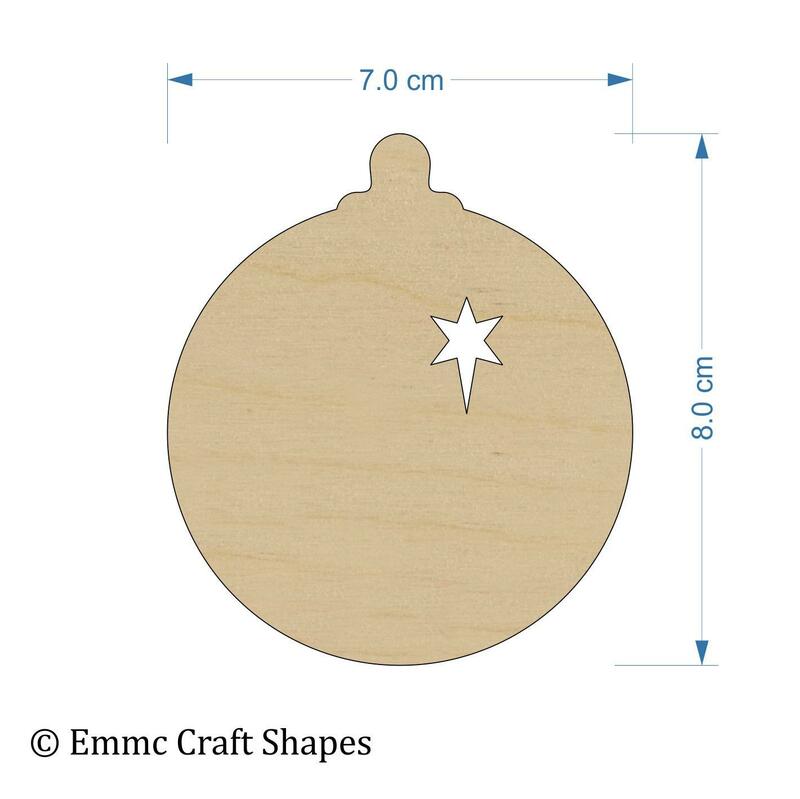 4mm thick birch plywood Christmas craft tag to decorate. 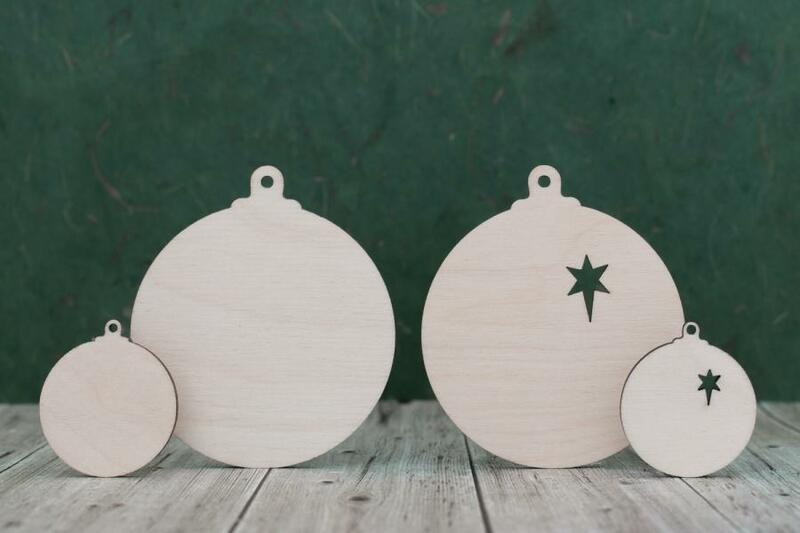 Our Plywood baubles are laser cut from 4mm birch plywood. We lightly sand both sides of these shapes so they are ready for you to decorate and personalise in your favourite way. The baubles are great to paint, embellish, decoupage, glitter or colour in with pens. 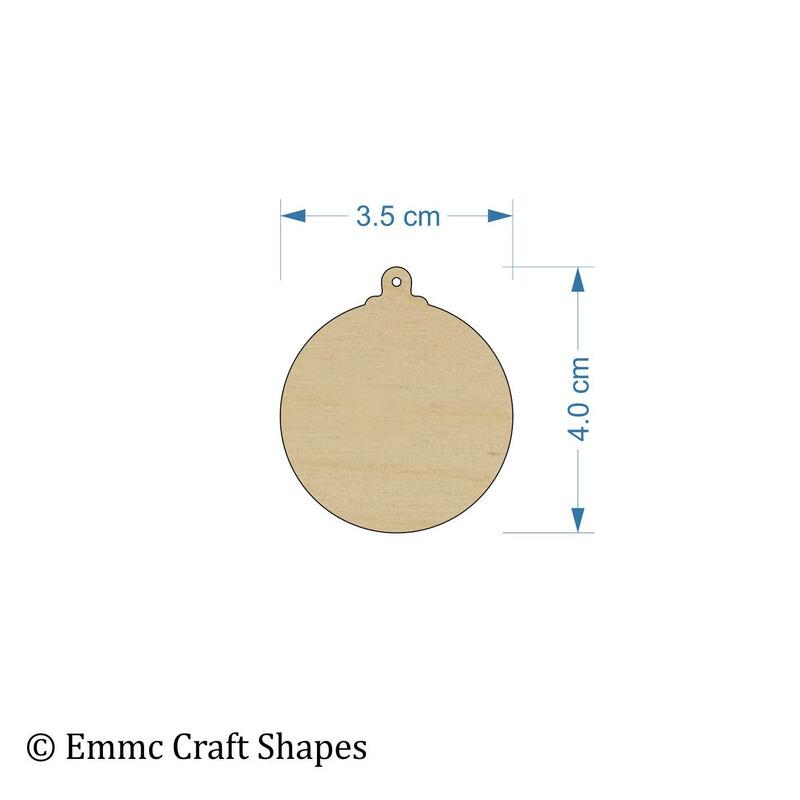 Choose to have a hole in the top, at no extra charge, so you can add ribbon or twine to turn these fantastic plywood baubles into Christmas decorations ready to hang from your tree or around your home.